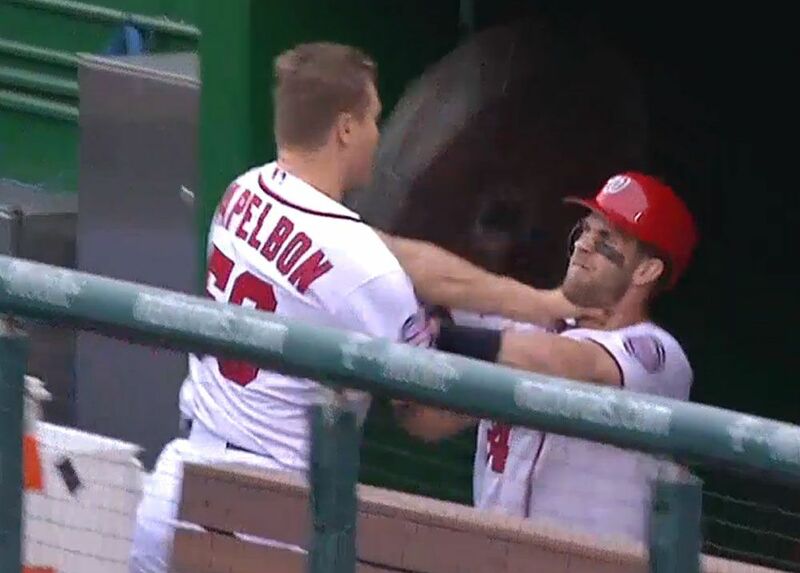 It’s funny because a lot of individuals out there who weren’t following along closely are acting like Jonathan Papelbon choking Bryce Harper the other day was the end of the Nationals season. The Nationals were of course; already done at that point. The seeds that grew were planted so long ago. As Walter White says early on in Breaking Bad to show future foreshadowing that leads to his fateful collapse; “The reaction, has begun”. Barry Svrluga of the Washington Post has a really good write up with lots of nuggets and details in between that much of the public was not privy to. It’s a great read. You read through this article and you suddenly realize; most of the guys in this clubhouse had everything on their minds except winning ballgames. It’s really a great look into the eye of the tiger – and what you see is a bunch of guys worried about their numbers, their contract, their marketability, their image. All led by a manager who was probably the worst in baseball at doing the one thing a manager should do; build a little chemistry and environment and not screw it up too much. What a complete dumpster fire. And I maintain what I said on twitter the night the Nationals made the move to trade for Jonathan Papelbon. It was the poison pill, the death blow. I told a friend that if I had a team of most hated players in the history of the game, Jonathan Papelbon could be the only guy who would close for that club. What a loser.